For many birth mothers, the most stressful part of the entire adoption process is the birth – particularly what happens to the child after delivery. Will you see the child? Will you spend significant time with the child? And do you have to take the baby home before the adoption is finalized? The answer to all of this is it is completely up to you. You should do what YOU feel is best. “A lot of birth mothers decide not to see their baby after delivery because they are trying to protect their hearts,” says one adoption professional. 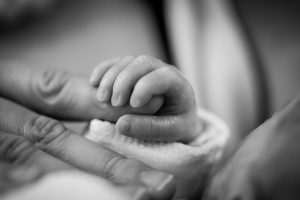 “They know themselves and feel certain that if they do see their baby, it will be much more difficult to place their baby for adoption if they hold the baby.” However, other birth mothers want a chance to spend just a few private moments with their child before completing the adoption. There are several factors to consider when making your decision, but the greatest determining factor might be whether you’ve chosen an Open or Closed Adoption. One of the only instances where you will have to take your baby home with you before placement is if you have made no adoption plans prior to birth, and are unable to make a plan prior to leaving the hospital. “What Do I Decide About My Hospital Stay?” Adoption Network, Adoption Network Law Center – Safer Than Adoption Agencies, adoptionnetwork.com/what-do-i-get-to-decide-about-my-hospital-stay. Wiernicki, Peter. “The Hospital Adoption Process – What You Need to Know.” Adoptive Families, 16 Oct. 2017, www.adoptivefamilies.com/adoption-process/hospital-adoption-process-need-to-know/. “Will I Be Able to See My Baby in the Hospital?” Will I Be Able to See My Baby in the Hospital? | AAA Partners in Adoption, www.partnersinadoption.org/i-am-pregnant/the-adoption-process/will-i-be-able-to-see-my-baby-in-the-hospital/. This entry was posted on Friday, January 4th, 2019	at 9:21 am	. You can follow any responses to this entry through the RSS 2.0	feed. Both comments and pings are currently closed.